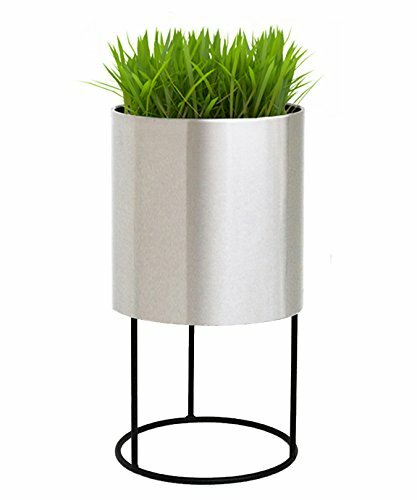 Brushed stainless steel planter with matte black base. Clean, modern design that's perfect for any contemporary decor setting. NMN Designs.